Longtime Woodstock resident, guitarist Peter Walker recorded two albums for the Vanguard label in the late Sixties in a style best described as American folk-raga. He studied with Ravi Shankar and Ali Akbar Khan, and was Dr. Timothy Leary’s musical director, organizing music for the LSD advocate’s “celebrations.” He was also a close friend of fellow Woodstock resident, the late folksinger Karen Dalton, and helped produce Remembering Mountains : Unheard Songs by Karen Dalton (Tompkins Square), which features unrecorded Dalton compositions brought to life by Sharon Van Etten, Patty Griffin, Lucinda Williams and others. Rediscovered by Tompkins Square in 2006 after decades out of sight, Walker has remained active into his 8th decade, recording for Jack White’s Third Man label, and now, collaborating anew with fellow Upstaters, Harmony Rockets. 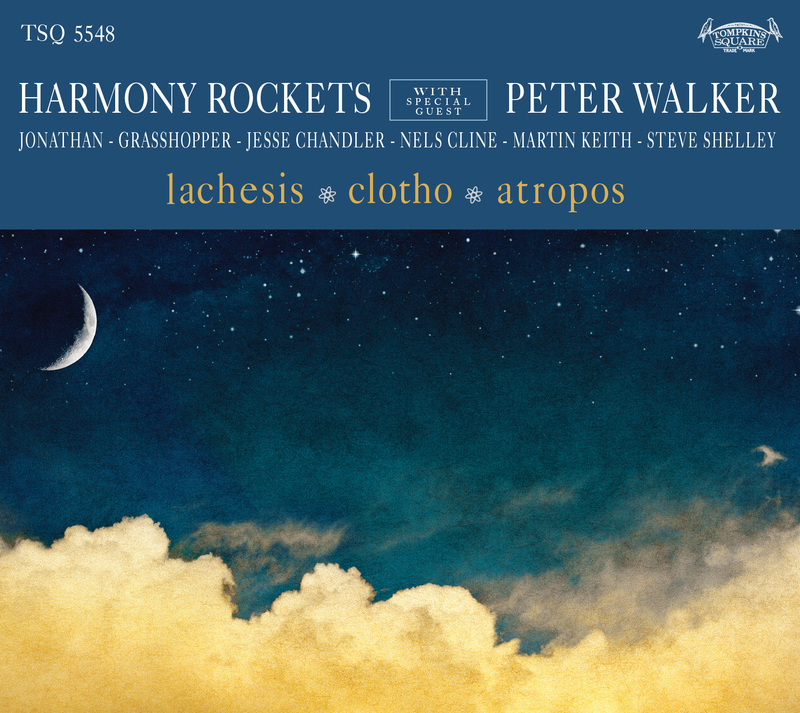 Joined in a mighty super-session with Harmony Rockets (Mercury Rev), Martin Keith, Nels Cline (Wilco), and Steve Shelley (Sonic Youth), Lachesis/Clotho/Atropos is a mind-melting inter-generational collaboration that could only have coalesced around the wool sweaters, warm teacups and moldering bookstores of “Old Old Woodstock”, both the real and mythologized versions.